A few of the Photofocus authors will be together in Tampa, Florida next week, and we’re photowalking, and we thought you might like to join us. 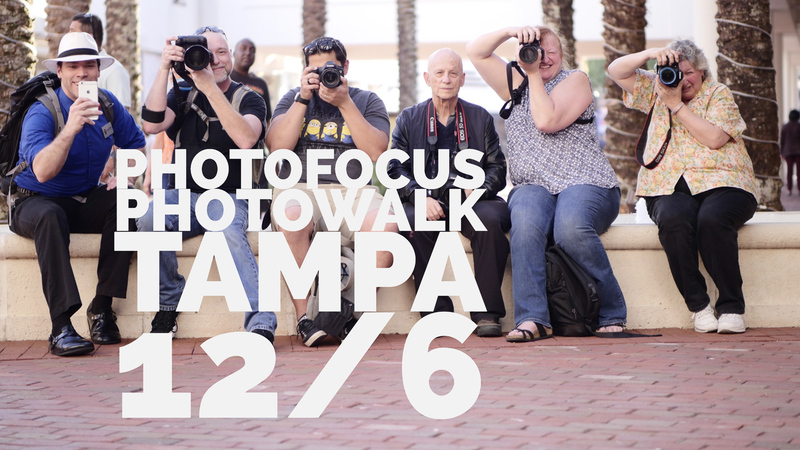 Come on down before you go to work and we’ll have a fun time making pictures and exploring the University of Tampa with our cameras, and maybe grab a bite to eat afterword. Jason Hahn, Vanelli, and Levi Sim will all be there. We’re going to be on campus for sunrise, so this is an early meetup. We’ll get together at 6:40am (who’s idea was that???). Let’s meet at the Glazer Children’s Museum, and we’ll walk from there. Bring your favorite gear–I’ll be using my Platypod instead of a tripod, and I’ll have a few extras if anyone wants to try one out. Be sure to charge your batteries and empty your memory cards. Park at the William F Poe Parking Garage around the corner on Ashley Drive. Your own camera with cards and batteries. I’ll have a handful of Playtpods you’re welcome to borrow, and I’ll bring a couple of ball heads to fit them, but if you have a ball head of your own or an Arca Swiss mounting plate it’ll be easier to borrow.